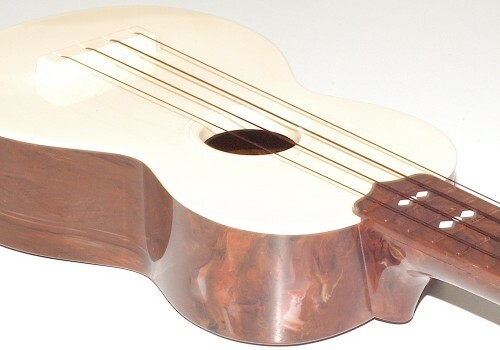 The Flamingo plastic ukulele, manufactured by Emenee, was the chief competitor to the Islander and was widely endorsed by Arthur Godfrey. 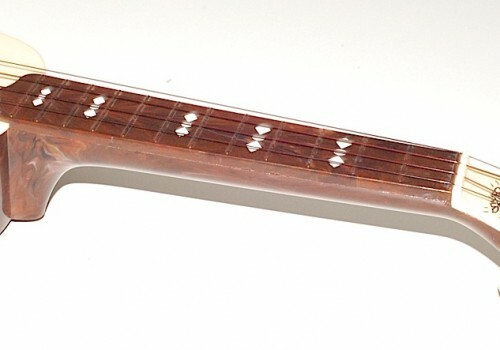 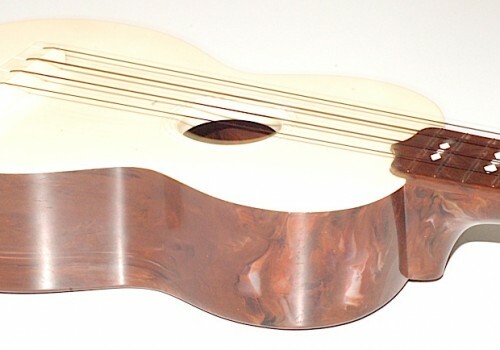 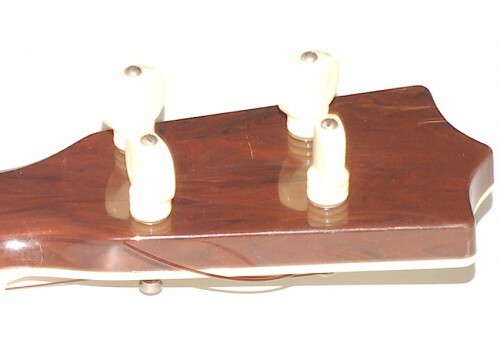 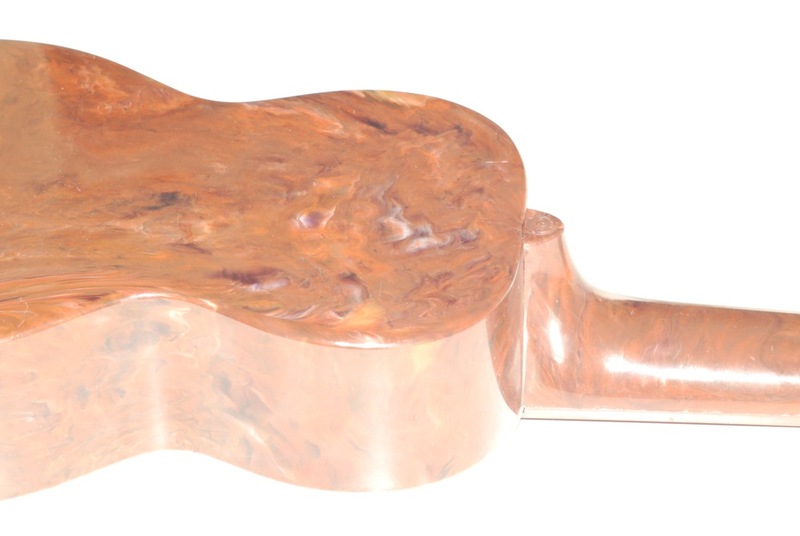 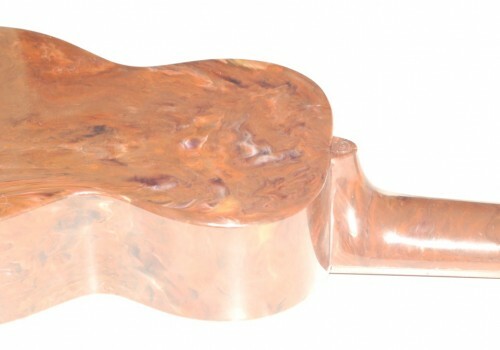 Flamingos came in a choice of off-white or marbleised brown and were sometimes equipped with a pitch pipe attached to the headstock (not included with this model). 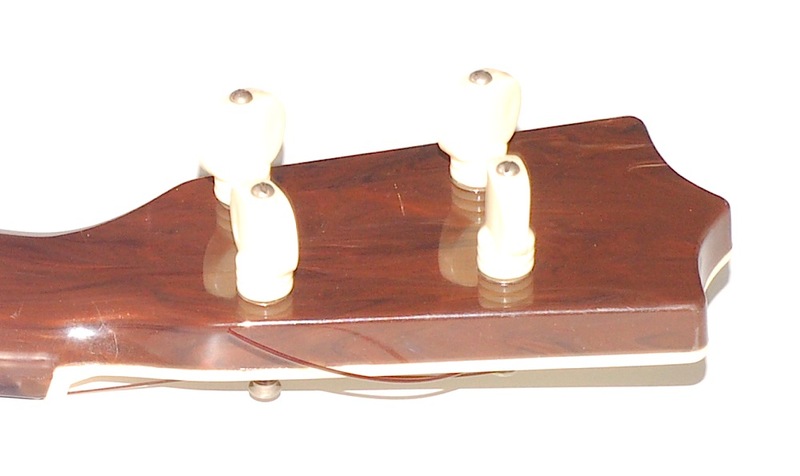 However, the original plastic Arthur Godfrey Uke Player (also known as the Chord Master on the Islander) is included. 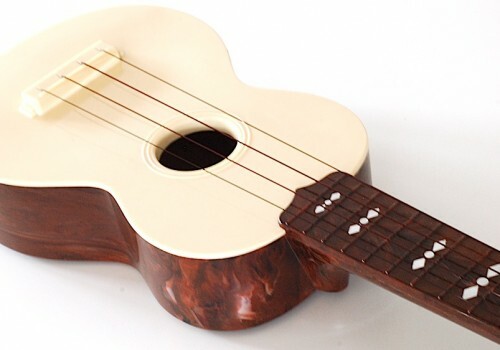 The Uke Player is a small plastic box that simply attaches over the first five frets and has six buttons, which when pushed, finger some basic chord positions, so you can play your favourite tunes without having to learn the chords! 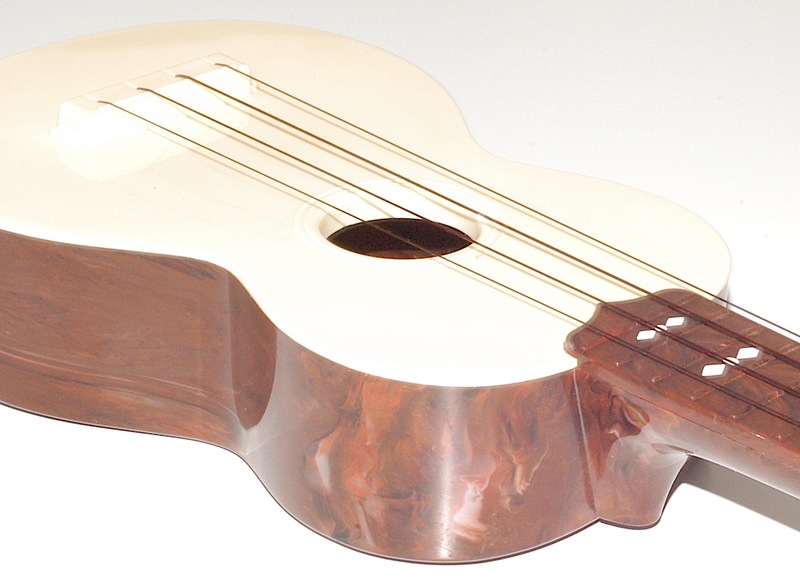 The Flamingo ukulele has metal geared tuning and it has been restrung by us, here at Ukenique with Worth brown fluorocarbon strings, for incredible intonation. 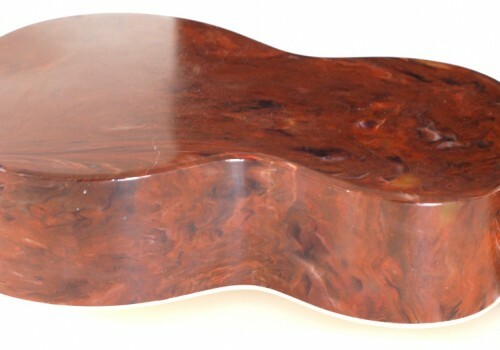 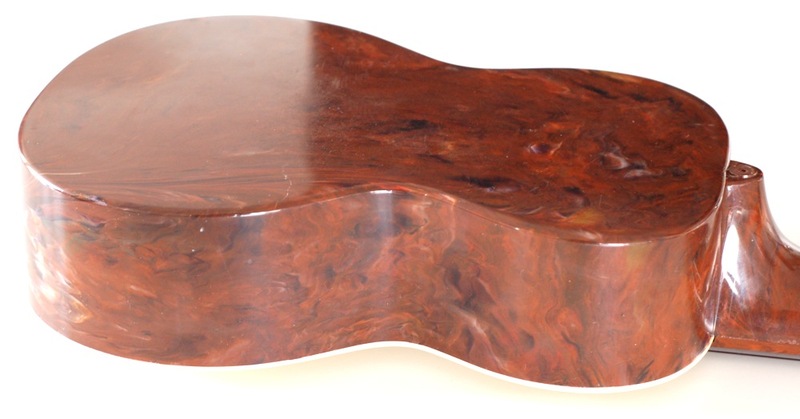 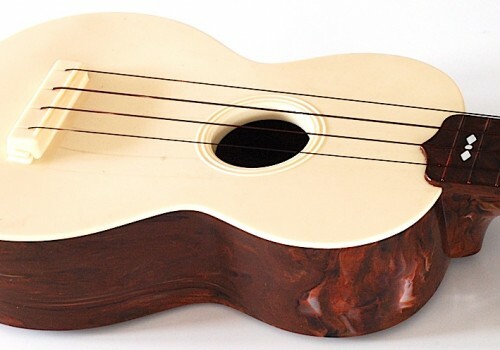 It has no cracks, chips or any very noticeable damage, only a few insignificant scuffs from being played over the years, as it has been kept in a protective case when not in use. 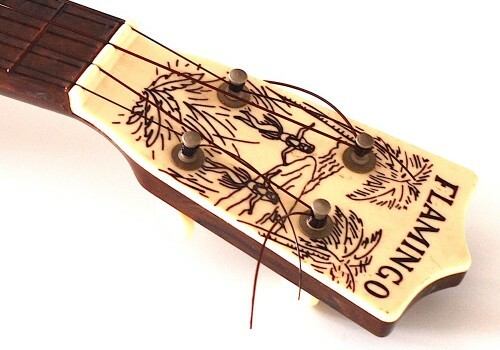 The headstock features an image of palm trees and Hula girls, in typical Hawaiian style. 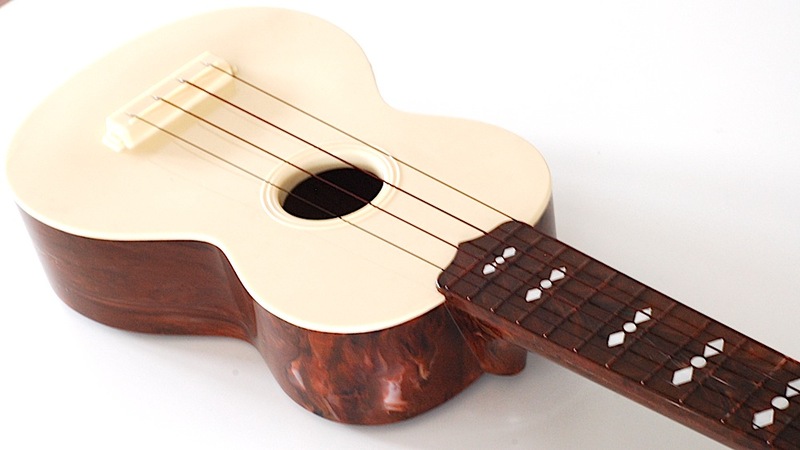 This beautiful plastic ukulele is no toy and is absolutely playable, with a remarkable clear sound and respectable accuracy – you will not be disappointed!